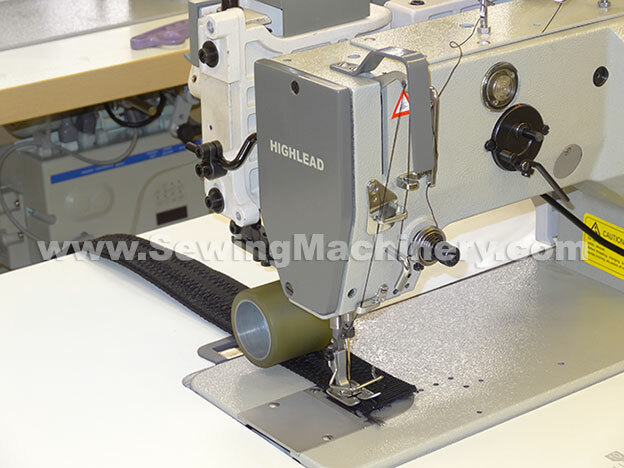 The Highlead GG0028-1B is a Zigzag machine designed for use with medium & medium-heavy weight materials. 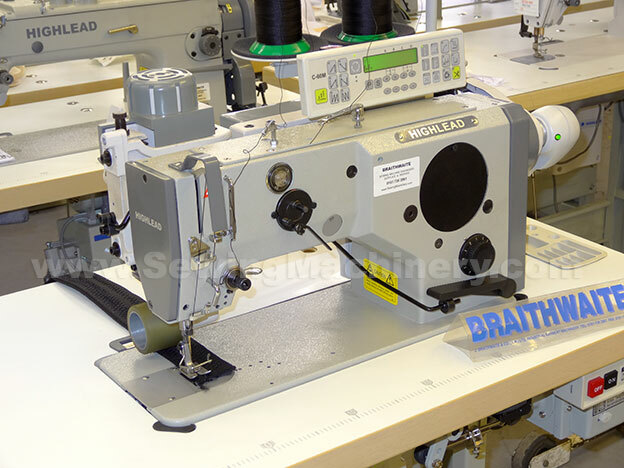 Most standard industrial zigzag machines are designed to sew light weight garment fabrics, but with the GG0028-1B you can now sew materials like canvas, leather, plastic, synthetic rubbers + other medium & medium heavy materials. Its modern design features: a large Zigzag width of up-to 10mm and a stitch length of up-to 5mm combining together to give nice decorative or functional stitching on a wide range of applications. 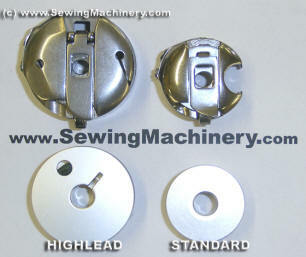 The hook containing the lower bobbin is twice the normal size; resulting in less bobbin changes and when combined with the vertical take up lever system, it is of particular use when using thicker than normal threads. It employs a parallel vertical needle bar motion for stronger striking power and a semi-automatic lubrication system which improves the service life. The longer system 134-35 needles are used with this machine: including the medium weight size 100, right up-to the heavy weight size 140. A wide range of sewing threads can be used, with this model being able to sew with up-to size 20* synthetic thread (or size 30* cotton thread) + V46, V69, V92 & V138* heavy duty threads etc. Sails, leather goods, bags, canvas/plastic, handbags, sports apparatus, blinds, nets, bandages, straps, Velcro, Neoprene, body supports etc. 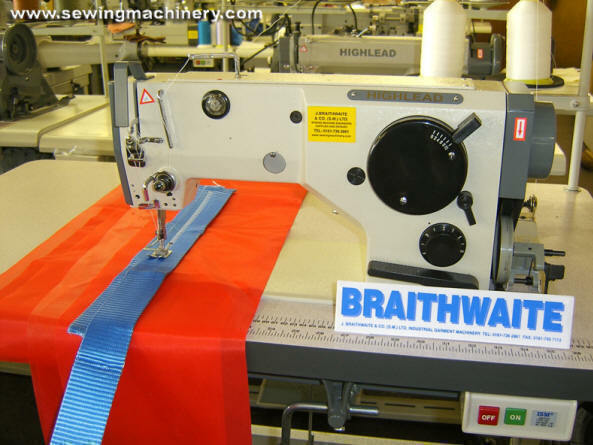 This Highlead model also has the option to sew with a straight style stitch by setting the zigzag width to zero. 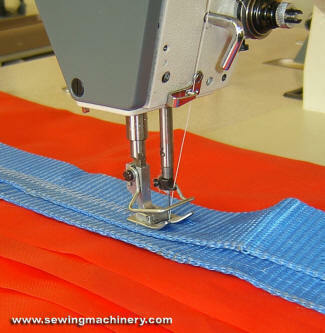 Can also sew a straight style stitch. Puller feed device, electric puller lifter, needle position servo motor, stitch count panel and auto foot lifter.